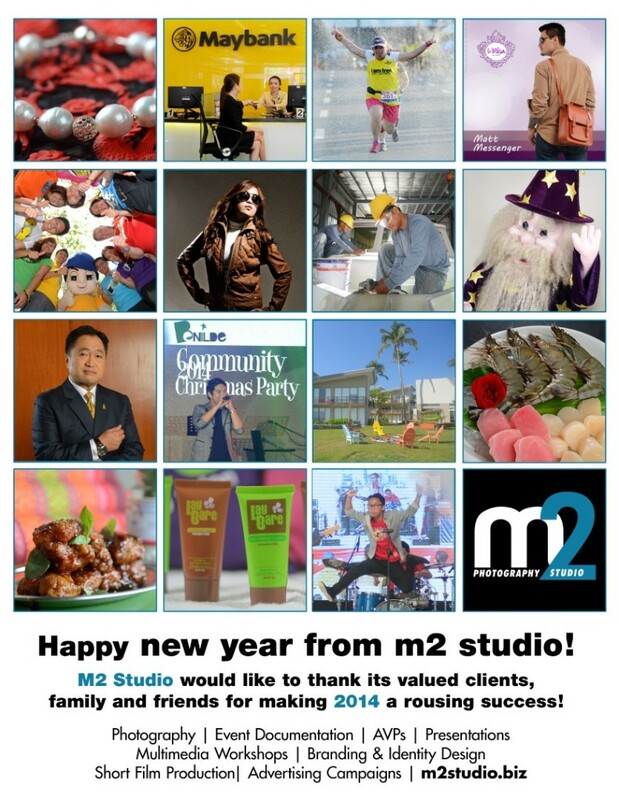 M2 Photography Studio would like to thank its clients, family and friends for making 2014 a rousing success! Here’s to another year of blessings, workshops, productions and success! For more information about our services, please contact 209.8300 / 0932.885.4615 or visit our contact us page. This entry was posted in Site Announcements and tagged advertising, commercial, newyear, photography, productions, prosperous, rise to the challenge, success, thanksgiving, video production, workshops on January 9, 2015 by Studio Manager.